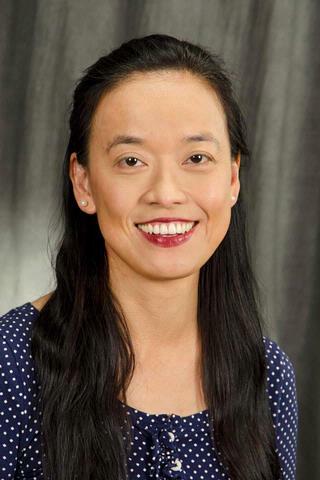 Dr. Chiu received her Ph.D. from Rutgers University and was a postdoctoral fellow in immunology at Princeton University. Currently she is a Research Assistant Professor in the lab of Dr. Christopher Ritchlin where her research is centrally focused on DC-STAMP, a transmembrane protein essential for cell-cell fusion during osteoclastogenesis. Her reserach projects include investigating the role of DC-STAMP in signaling and bone healing and the regulation of cell-to-cell fusion during osteoclast differentiation. Dr. Chiu is interested in delineating the molecular mechanisms underlying DC-STAMP-mediated bone homeostasis by optogenetic, musculoskeletal, and immunological approaches. Through collaborations with several principal investigators at the University of Rochester, Dr. Chiu is exploring various aspects of bone research including bone homeostasis through coordination between bone-resorbing osteoclasts (OC) and bone-synthesizing osteoblasts (OB), molecular mechanisms underlying pathological bone damages, and signaling required for the survival, differentiation, and function of OC. Chiu YG. ; Ritchlin CT. "Characterization of DC-STAMP+ Cells in Human Bone Marrow". J Bone Marrow Res. 2013; 1: 127. Chiu, Y.G. ; Ritchlin, R.T. "Biomarkers to diagnose early arthritis in patients with psoriasis". Psoriasis Forum. 2012; 18(2): 48-56. Chiu Y-H; Mensah AK; Schwarz EM; Ju Y; Takahata M; Feng C; McMahon LA; Hicks DG; Panepento B; Keng PC; Ritchlin, CT. "Regulation of Human Osteoclast Development by Dendritic Cell-Specific Transmembrane Protein (DC-STAMP)". J Bone Miner Res. 2012; 27(1): 79-92.